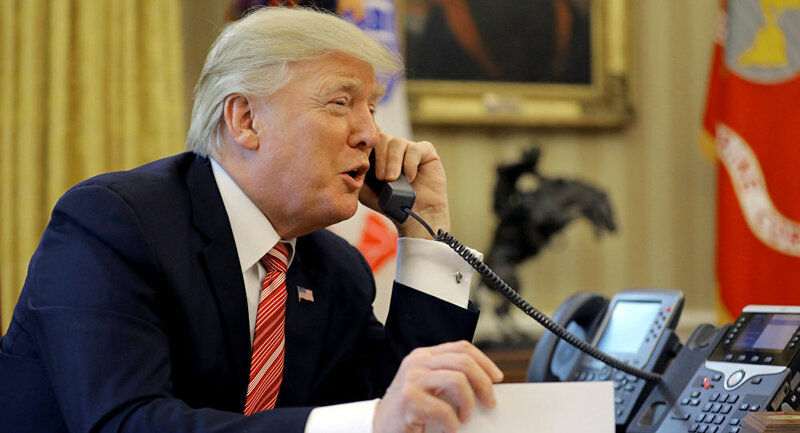 WASHINGTON (Sputnik) - US President Donald Trump discussed maintaining pressure on Iran, human rights issues and Middle East stability in a phone conversation with Saudi Crown Prince Mohammed bin Salman, the White House said in a press release. "President Donald Trump had a productive conversation with Saudi Crown Prince Mohammed", the release said on Tuesday. "They discussed Saudi Arabia’s critical role in ensuring Middle East stability, maintaining maximum pressure against Iran and the importance of human rights issues". Earlier in the day, Saudi Arabia welcomed Washington's decision to recognize Iran's Islamic Revolution Guard Corps (IRGC) as a terrorist organization, the Saudi Press Agency reported, adding that Washington's move followed Saudi Arabia's multiple calls on the international community to fight terrorist organizations allegedly supported by Iran. Riyadh has repeatedly slammed the IRGC, founded in 1979 in order to counter left-wing opposition groups, as terrorists, calling on the United States to recognize it as a terrorist organization. Riyadh has substantiated these calls with claims that the IRGC supports extremists' terrorist activities in Shiite communities in the east of Saudi Arabia and in Bahrain. Saudi Arabia cut off diplomatic ties with Iran in January 2016 as a response to attacks on Saudi diplomatic missions in Iran, triggered by execution of prominent Shiite cleric Sheikh Nimr al-Nimr by Saudi authorities. On Monday, the State Department announced, however, that 16 Saudi individuals have been banned from entering the United States due to their alleged role in journalist Jamal Khashoggi’s murder. US lawmakers have repeatedly urged Trump as required by the Magnitsky Act to conclude whether the Saudi Crown Prince played a role in the murder of Khashoggi at the Saudi consulate in Istanbul in October.